Braj Tirtha Vikas Parishad plans to build a new road to make Vrindavan easily accessible via road from the side of the River Yamuna. In fact, the Yamuna Expressway will soon be connected with National Highway 2 (NH2) for the smooth flow of traffic and visitors’ convenience. The planned road will reduce the volume of traffic, which now leads to congestion at some of the roads near Mathura, causing much inconvenience to the visitors. A bridge needs to be built to cross the Yamuna River and connect with the busy Expressway. The bridge will be constructed someplace upstream Varah Ghat, thus ensuring better connectivity with NH2. The UP government is keen to develop the holy Braj. The government’s top priorities include the development of the Yamuna, the towns along the Braj Mandal Parikrama and the Parikrama paths. The plan is to build an elevated road to manage the heavy traffic coming from NH2 and Yamuna Expressway. With better road connectivity in Vrindavan, the visitors to the holy town will enjoy the benefits. However, the ethos of Krishna’s land should not be compromised while developing better roads. It is a good idea to build elevated roads so that trees can be planted beneath, thus maintaining the ecological balance of the area. People must get the Yamuna’s darshan when they enter Vrindavan. 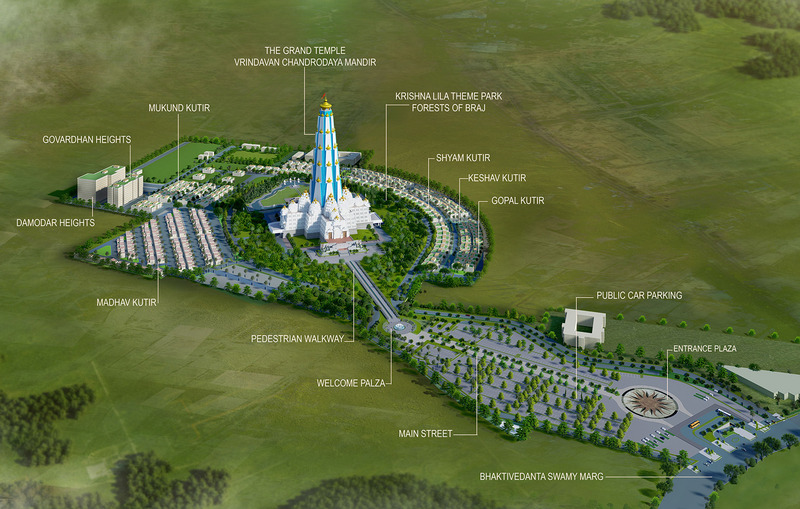 The development plan includes a total of Rs 200 crore. Yogi Adityanath, the state CM will inaugurate a few projects when he will visit the holy town on August 31. The UP Energy Minister has plans to improve the drinking water supply in the holy Braj. Besides better road connectivity, initiatives such as door-to-door collection of garbage and solution to drainage issues will be also be taken up soon.